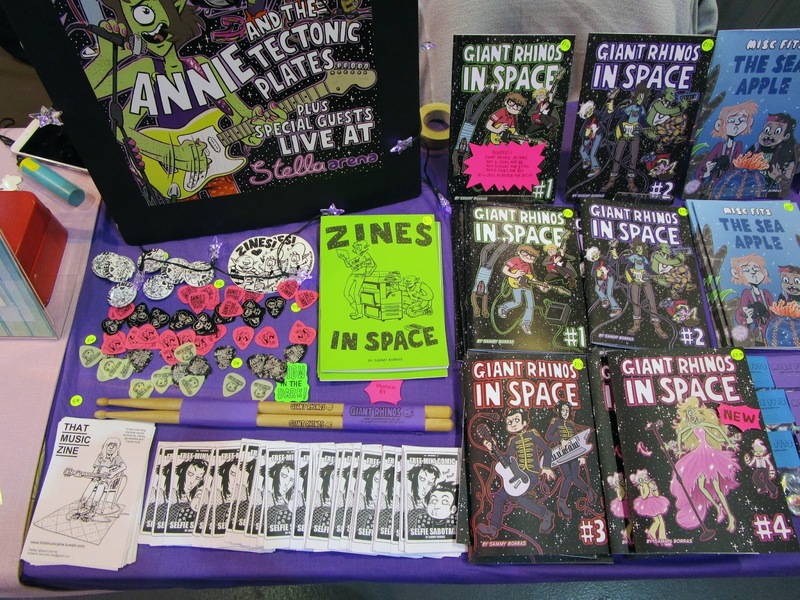 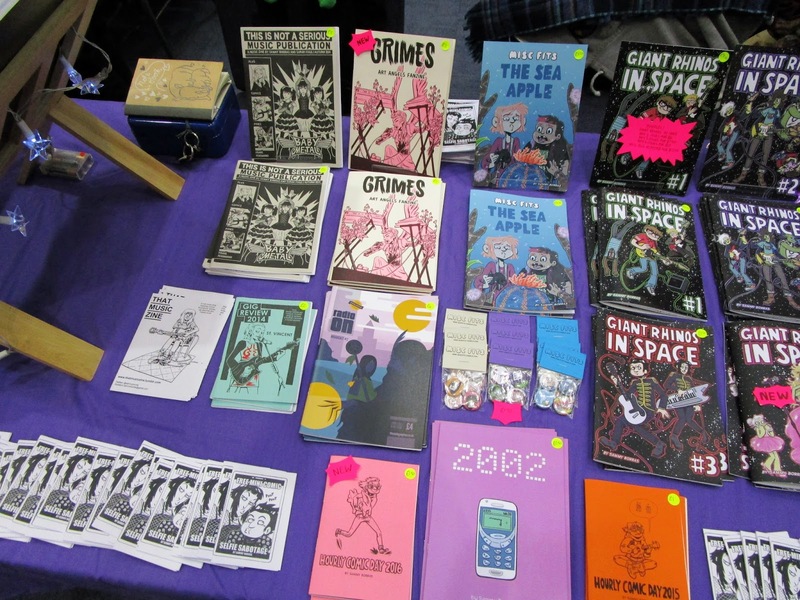 Thank you very much to everyone who came to my table at Midlands MCM Comic Con on Saturday. I had a great time with my table neighbours Ryuuza and Penguinsbite! 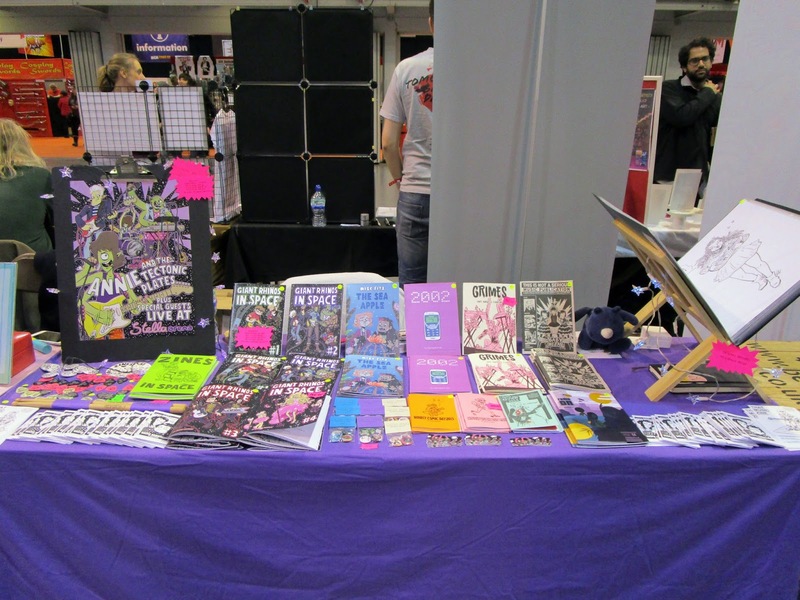 My next convention will be Liverpool MCM Comic Con in March - see the blog sidebar for a up to date list of events. 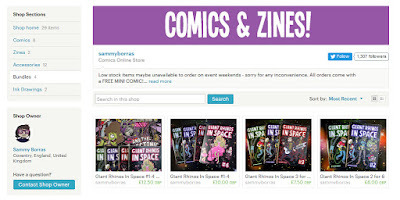 If you can't make it to any of them, please don't forget I have an online Etsy shop where I can ship internationally - thank you! Thank you so much to everyone at True Believers Comic Festival - it was pretty chilled behind the table and a nice start to convention season. 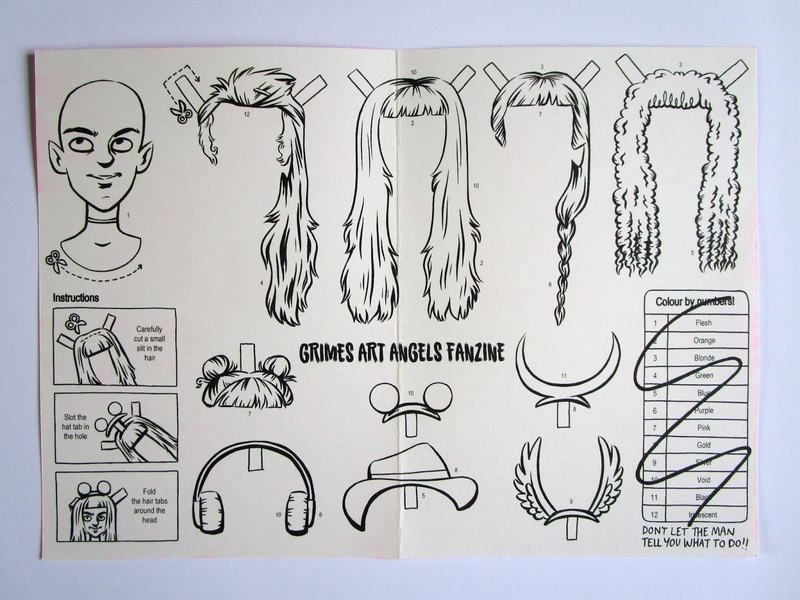 I’d like to say a massive thank you to everyone who has been pre-ordering the 2nd print run for the Grimes Fanzine through Etsy - I completely miss calculated how many we would need and I’m really sorry about for the inconvenience! 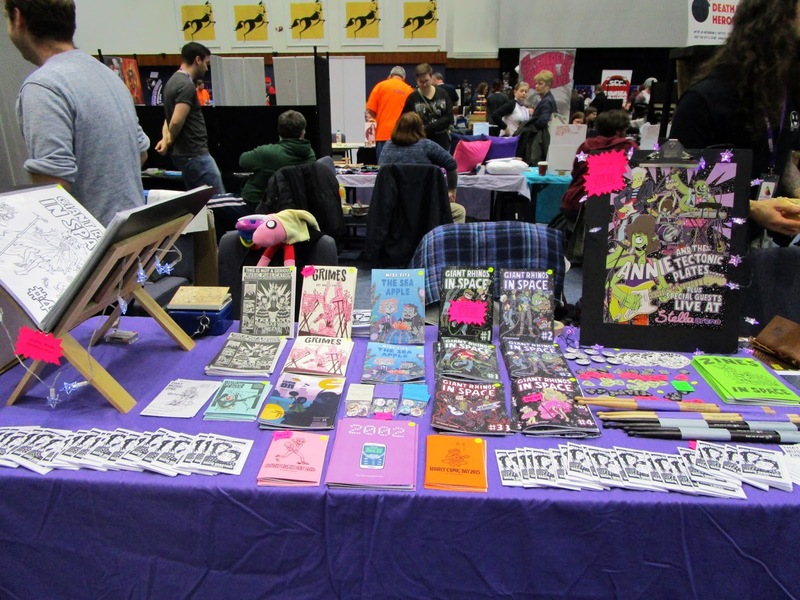 The next event will be Midlands MCM Comic Con, Telford on Saturday 13th February. I don’t have a table number or a map yet, but I will be in the Comic Village section which is worth looking around anyway! 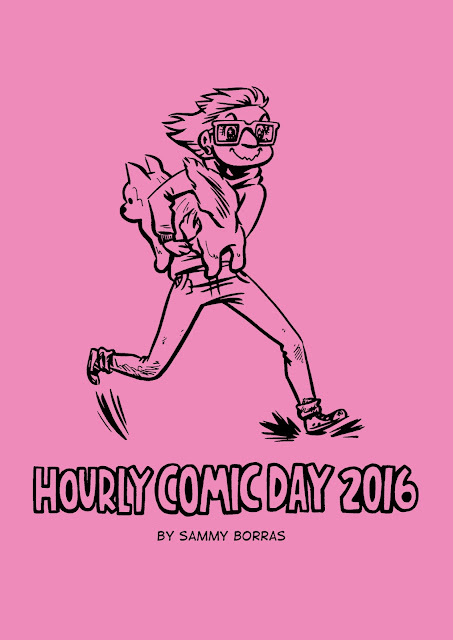 Please come and say hi because I have FREE MINI COMICS to hand out! 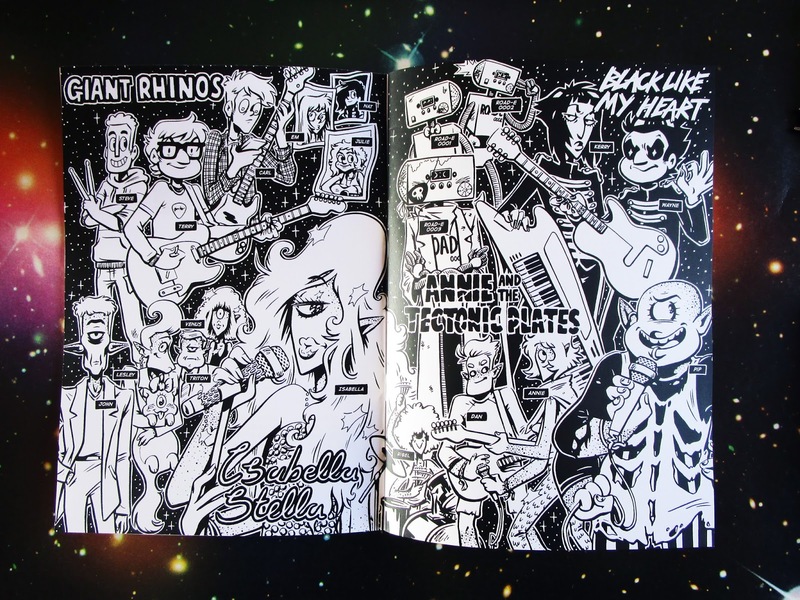 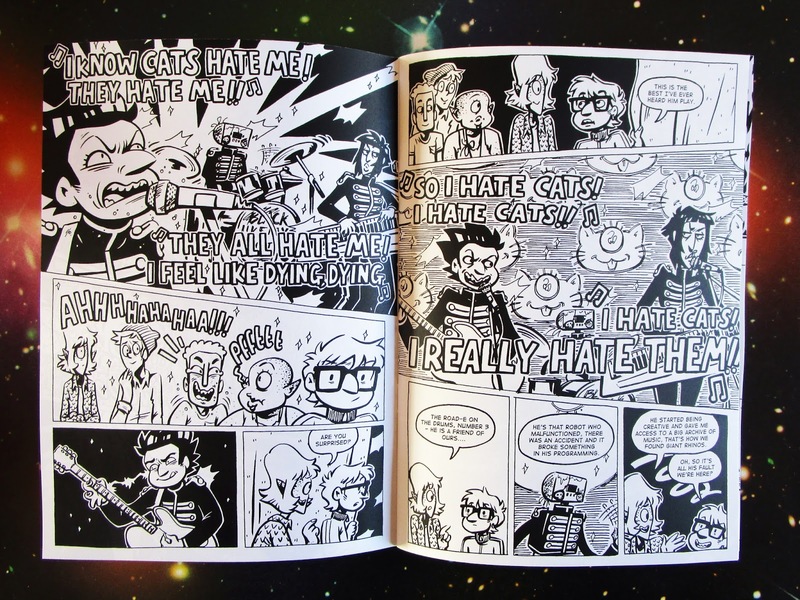 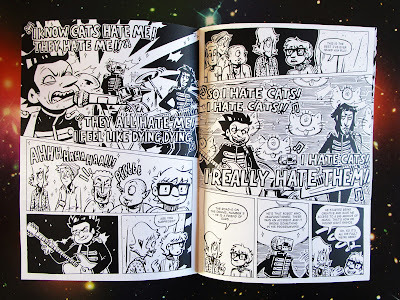 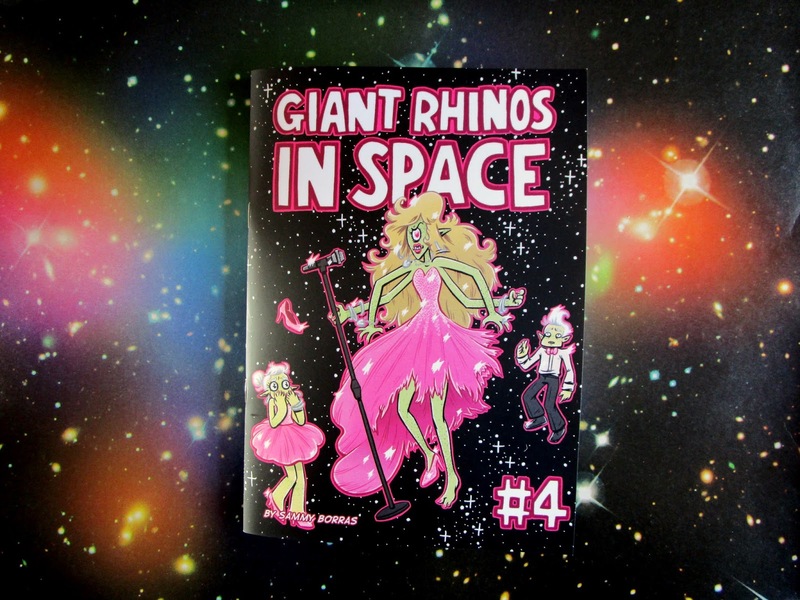 Giant Rhinos In Space #4 arrived from the printers this week. 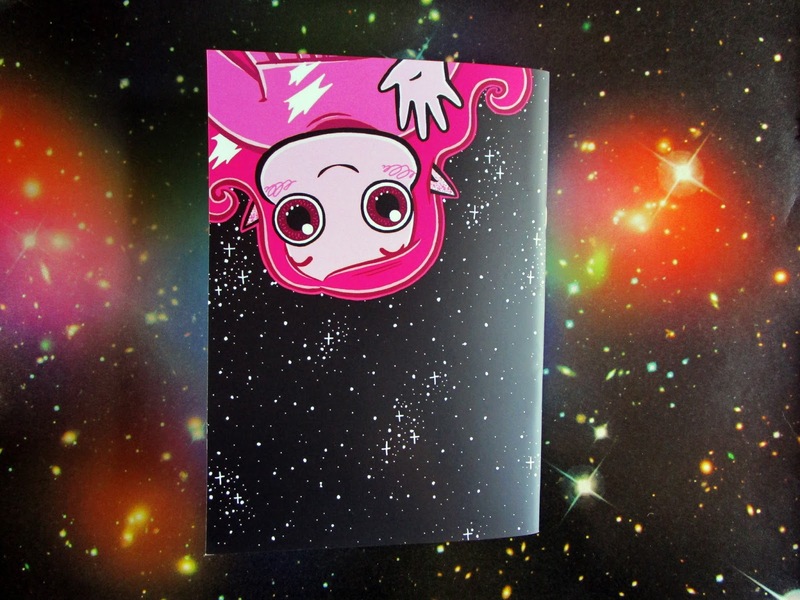 They are now available to order through my Etsy shop for £3.50 or as part of a bundle. 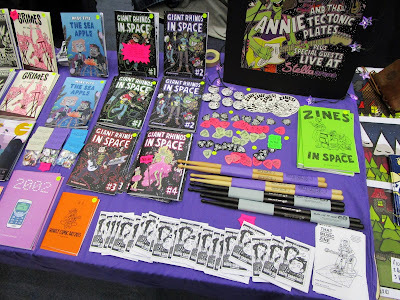 I have a list of up to date events in the blog sidebar - thank you! 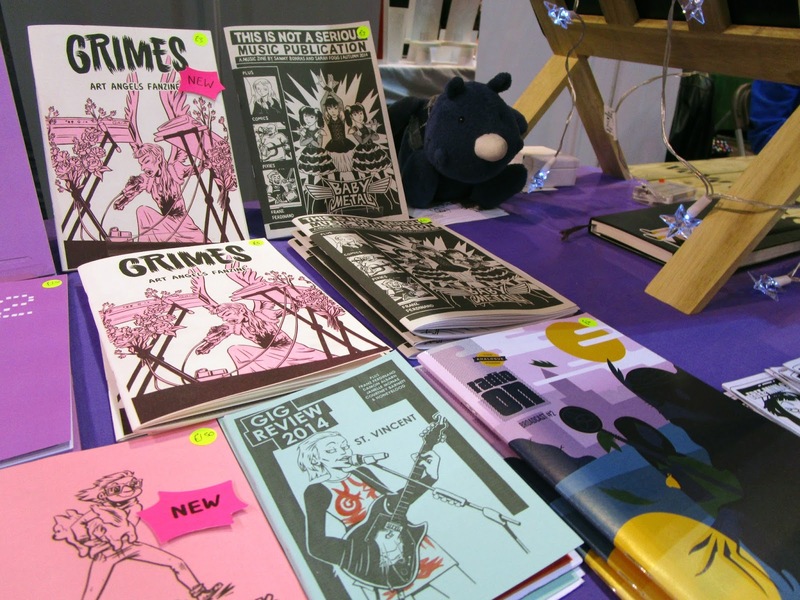 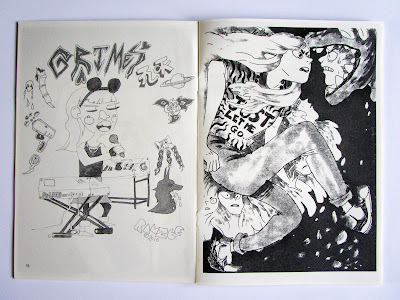 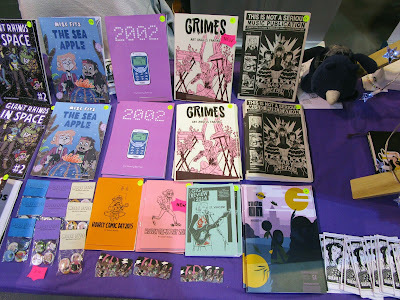 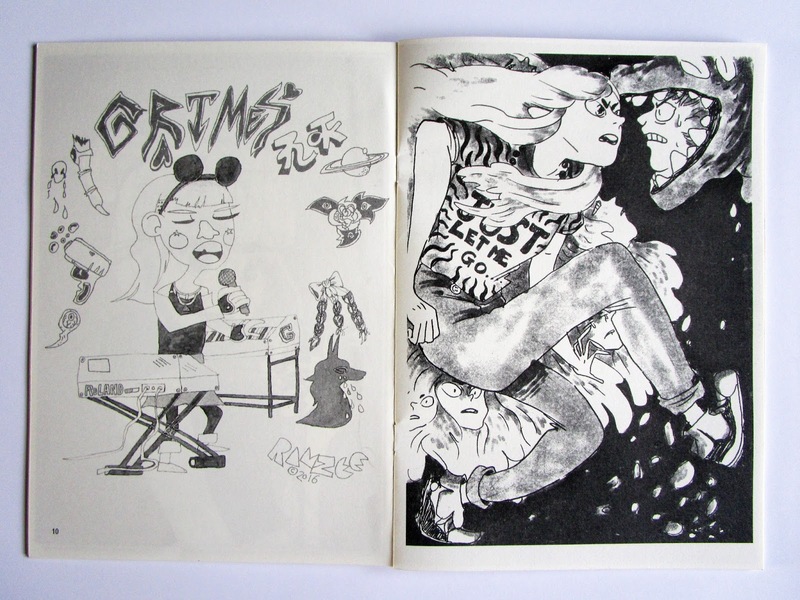 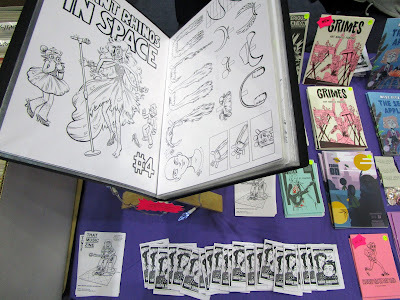 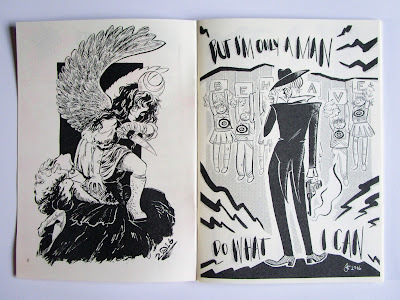 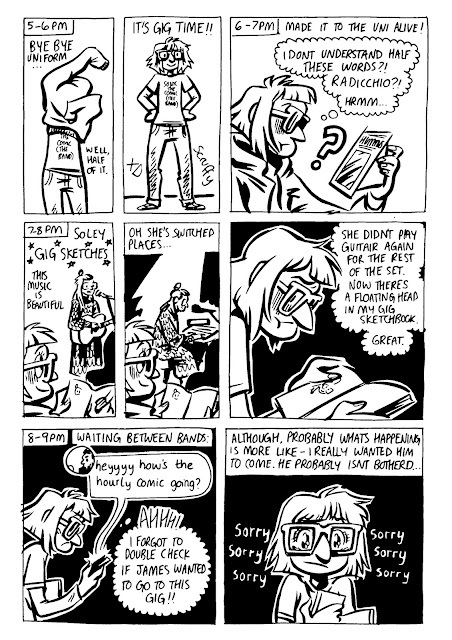 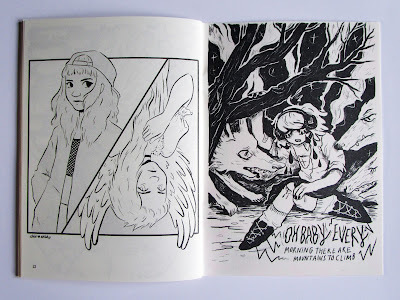 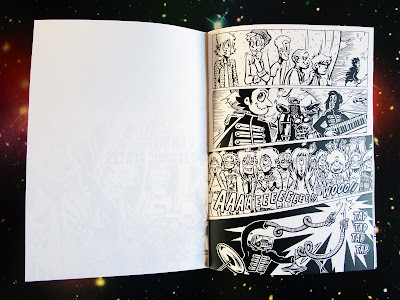 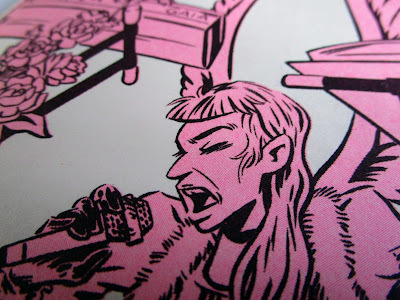 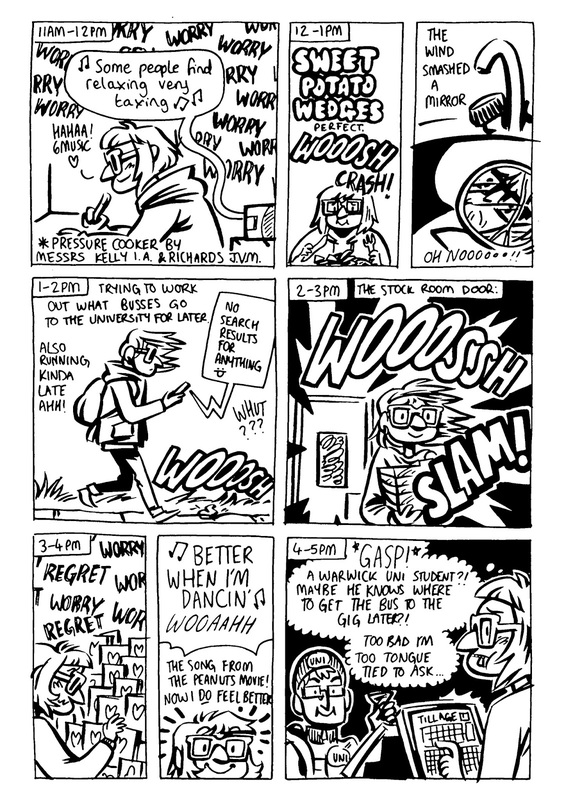 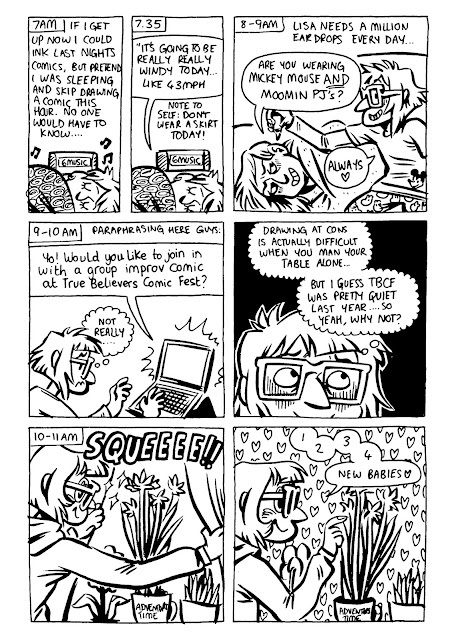 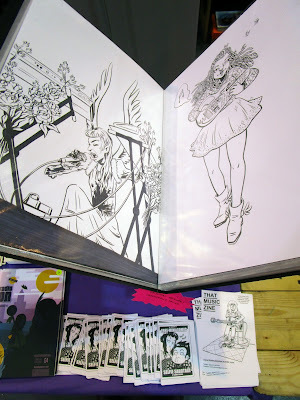 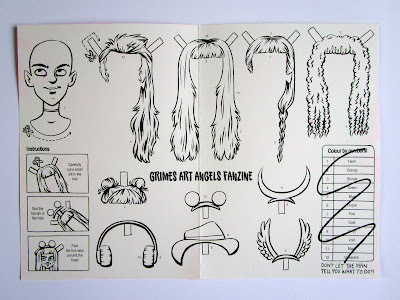 I compiled a Grimes Fanzine through my music blog www.thatmusiczine.tumblr.com - I was sent some beautiful illustrations, mostly through the UK small press comics scene. The zine was printed locally at Rope Press using a risograph machine with florescent pink ink. 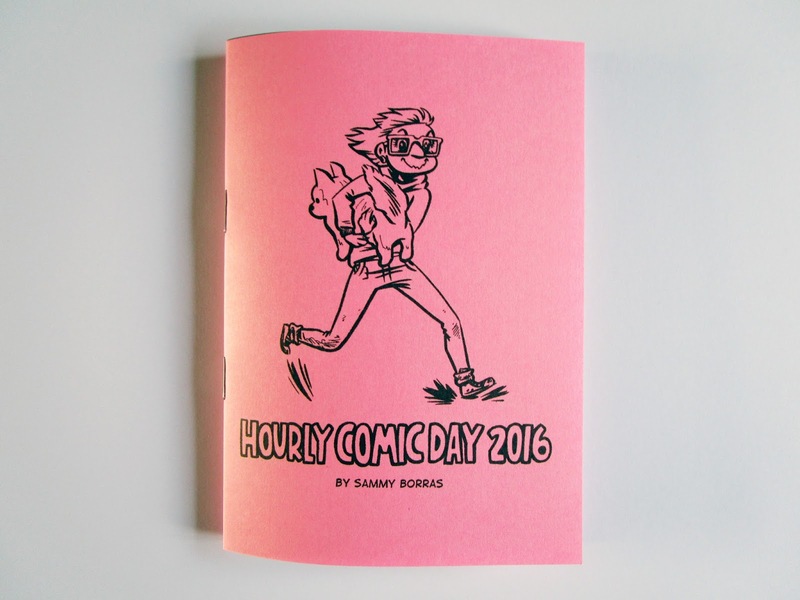 The zines are now ready to launch at True Believers Comic Festival this Saturday. 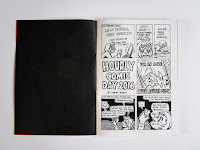 You can find more spring events in the blog sidebar or order online through my Etsy shop. 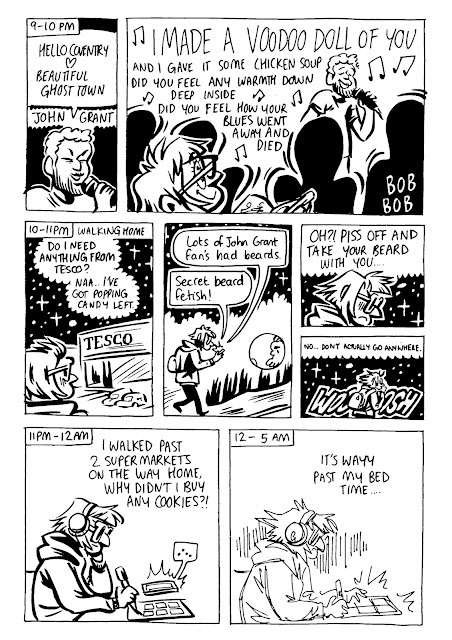 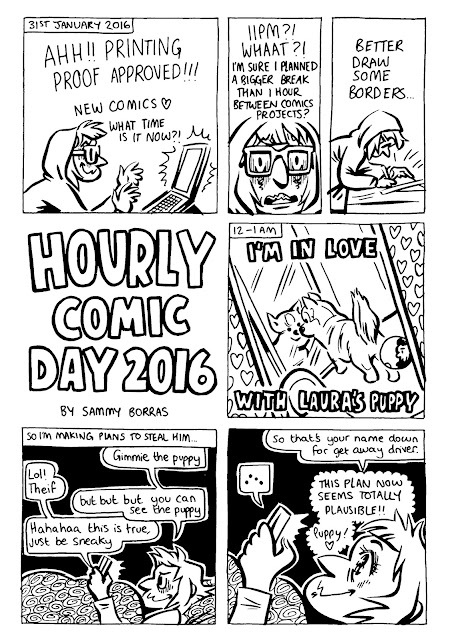 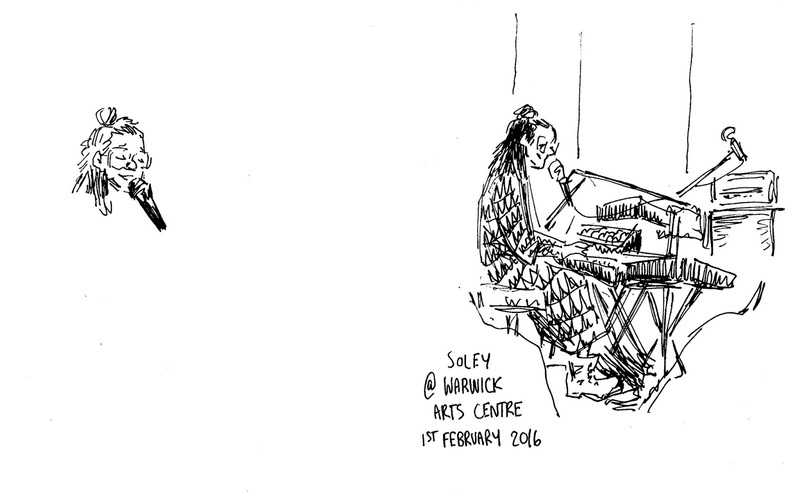 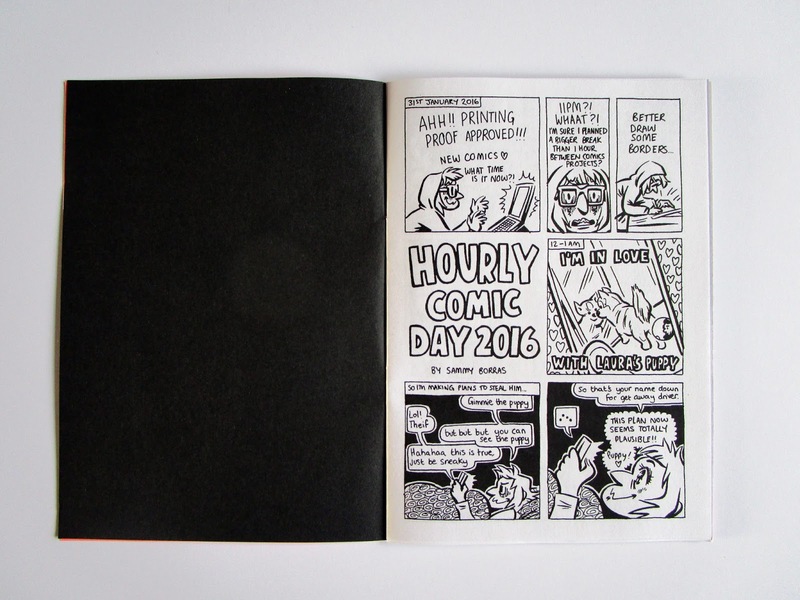 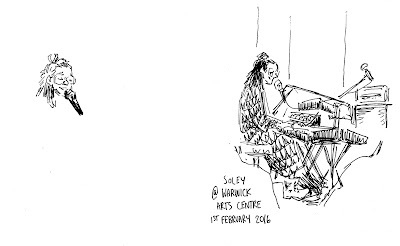 Hourly Comic Day mini comics and John Grant & Soley gig sketches are printed and ready to take to True Believers Comic Festival, Cheltenham on Saturday 6th February! 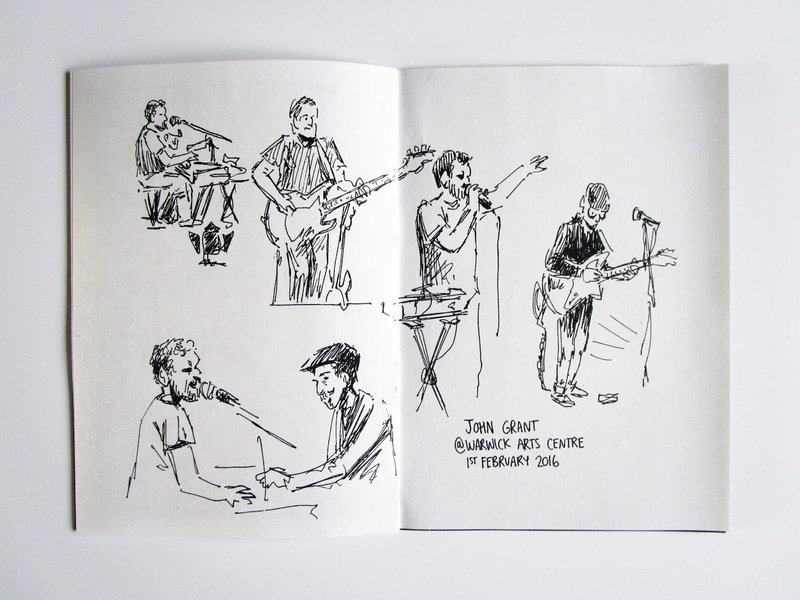 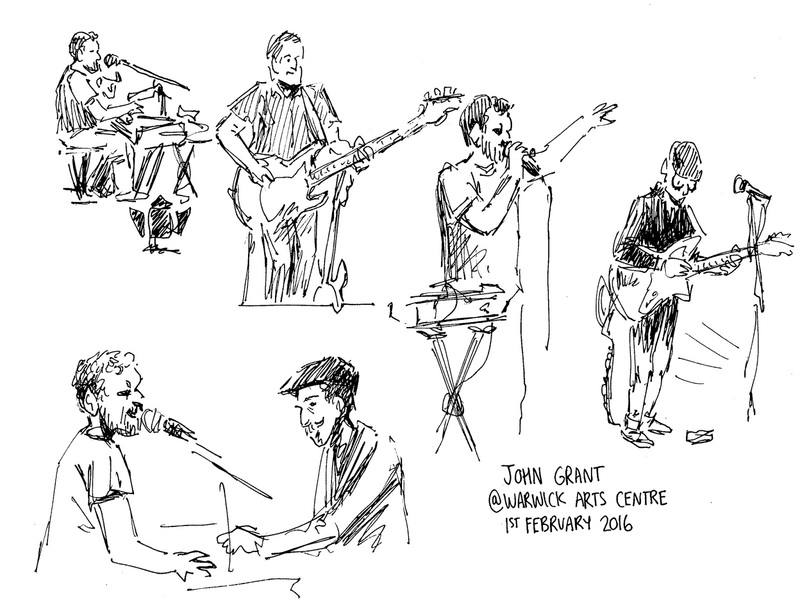 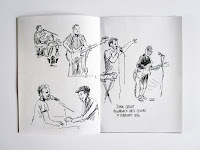 I included the gig sketches from that day. The pink covers are neon! 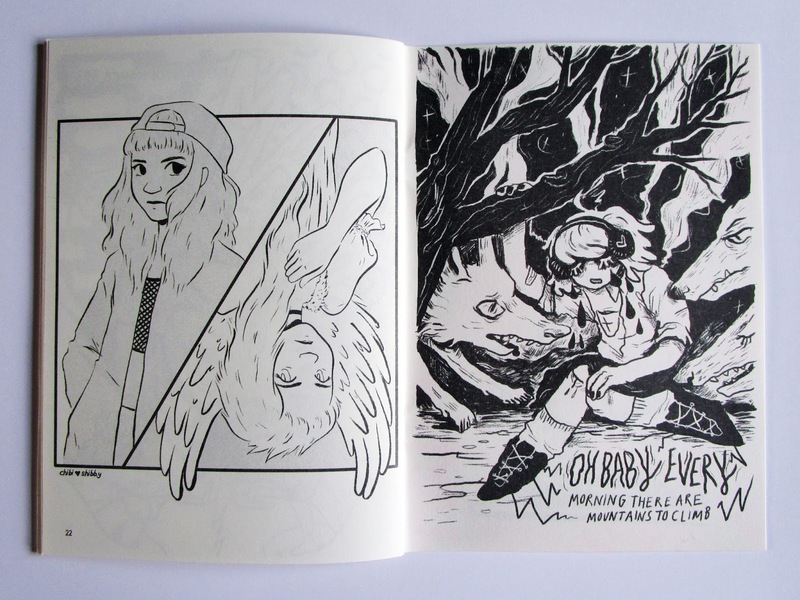 They are now available to order through my Etsy shop! There’s a list of more spring conventions and events in the blog sidebar.